A mid-career retrospective exhibition of Australian artist Kirstie Rea at the Canberra Museum and Gallery is an opportunity for curator and writer Nola Anderson to contemplate the artist's evolving relationship with abstraction, which is often expressed through imagery that references the vast vistas of the Australian landscape where the artist grew up.The article examines two decades of Rea's development and the impact of her two main artistic influences -- Klaus Moje and Neil Roberts. 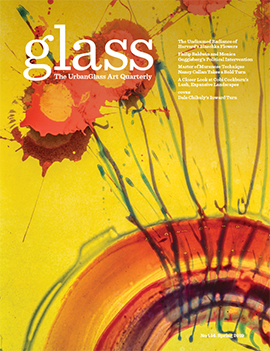 Contributing editor William V. Ganis revisits the field of glass design which has in some ways been overshadowed by the intense focus on Studio Glass as a purely sculptural pursuit. 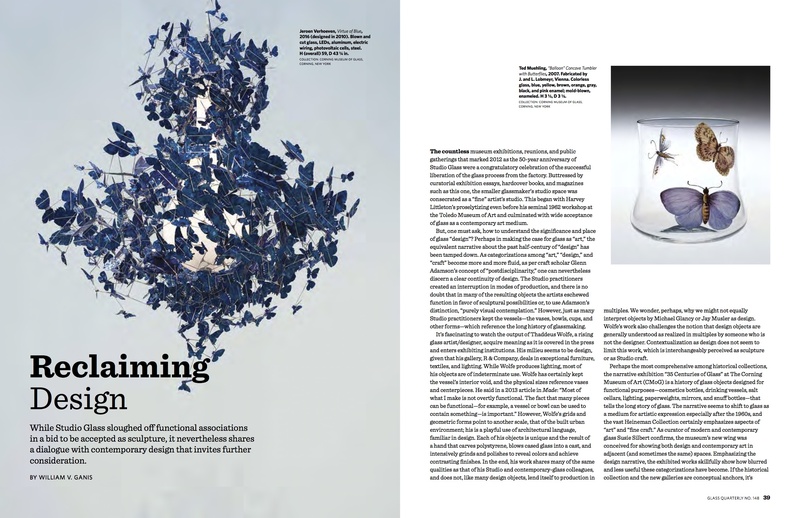 In an article that uses The Corning Museum of Glass's recently constructed Contemporary Art + Design Wing as a touchstone, Ganis discusses the increasingly blurred boundaries between what is classified as design and contemporary art. He ponders why the vessel form was retained in many works presented as Studio Glass, and why some celebrated designers using glass, such as Thaddeus Wolfe, are not considered sculptors as their works are unique and often nonfunctional. 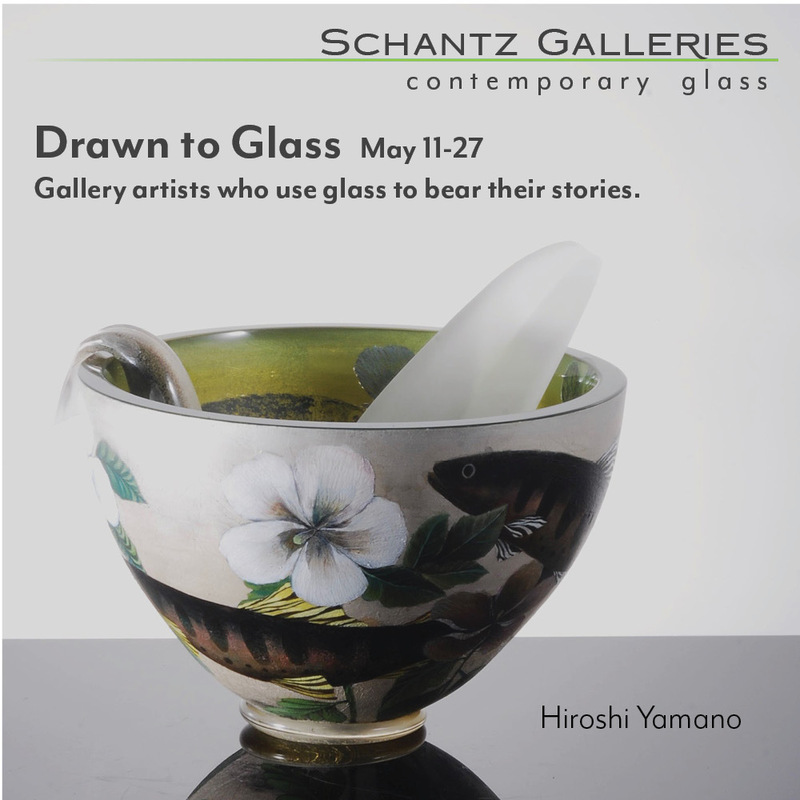 About Corning's presentation of artworks and design objects. 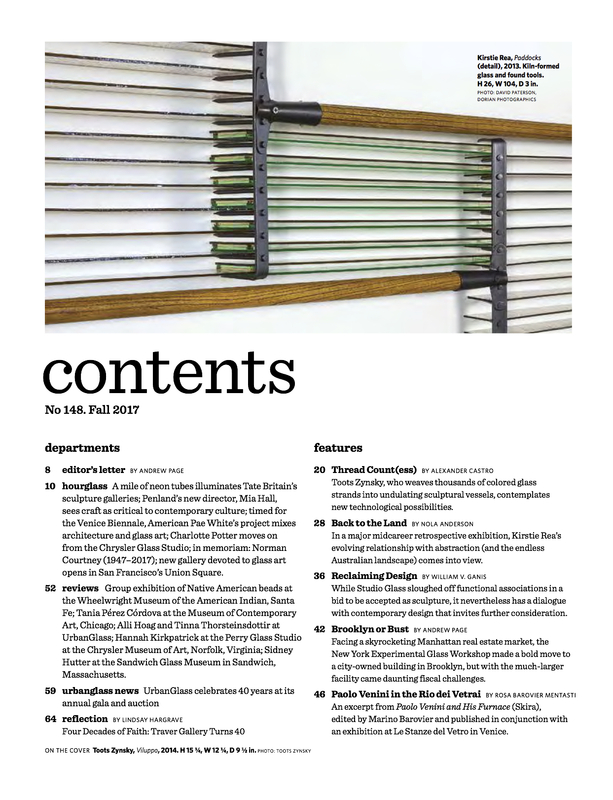 Ganis writes: "Emphasizing the design narrative, the exhibited works skillfully show how blurred and less useful these categorizations have become." 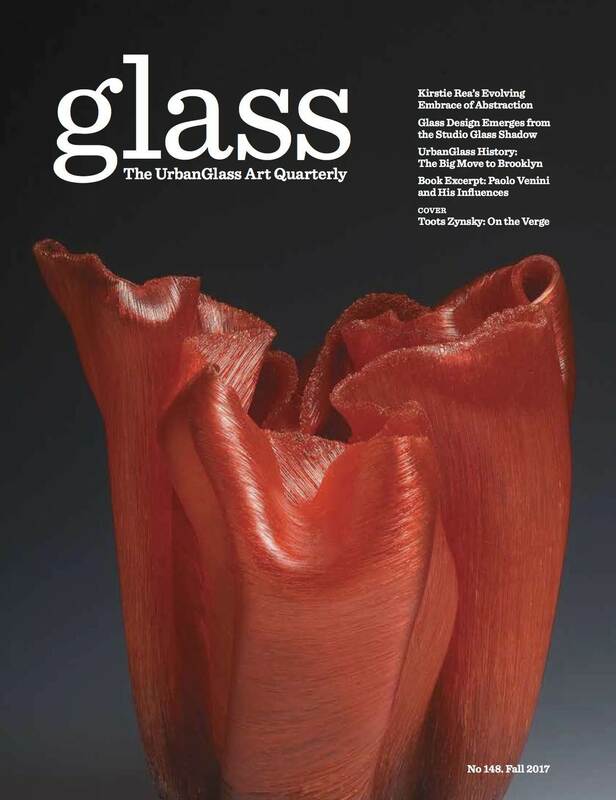 In our third installment of articles examining the history of UrbanGlass, a year-long series celebrating the 40th anniversary of the nonprofit arts institution that publishes GLASS Quarterly and the GLASS Quarterly Hot Sheet, we present "Brooklyn or Bust," the saga of the New York Experimental Glass Workshop's bold move of the out of Manhattan's Little Italy to a gritty section of Brooklyn just across the East River. With the relocation came a vastly larger studio space, and increasing financial pressures that altered the culture of the close-knit association of artists as it grew into a much-larger and influential arts organization with links to other cultural institutions in New York City. 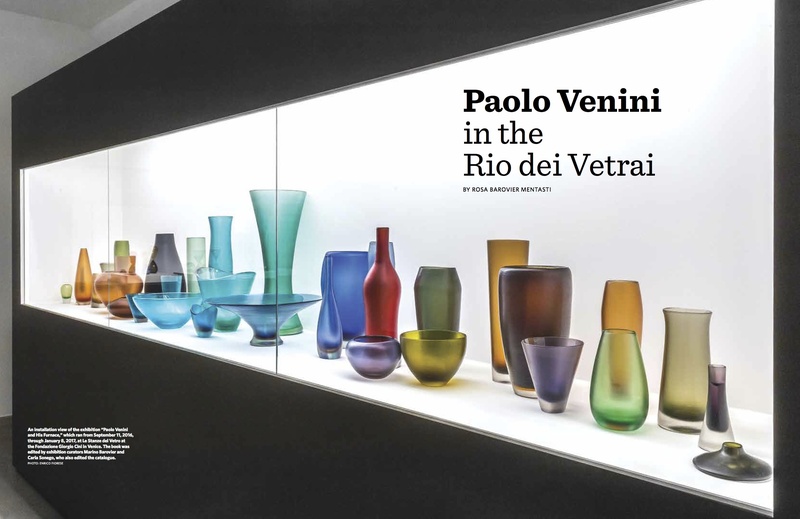 Finally, we present an excerpt from an essay by leading glass scholar Rosa Barovier Mentasti on the iconic 20th-century glass designer Paolo Venini, who is the subject of an exquisite new book Paolo Venini and his Furnace (Skira,$85) to be released in October. The book, which functions as the catalog for the recent exhibition of the same name at the Stanze del Vetro in Venice, is a definitive work of scholarship with essays by several leading scholars chronicling the diverse influences that made the Venini glasshouse one of the most important in the world. Illustrated by lush photographs of the installed exhibition taken by Enrico Fiorese, the article is a celebration of the power of glass to take on so many visages, from the straw-like patterned pagliesco glass plates from 1957 to the translucent chromatic complexity of the Incisi vessels, the scope of Venini's output demonstrates the power of international exchange and relentless innovation. 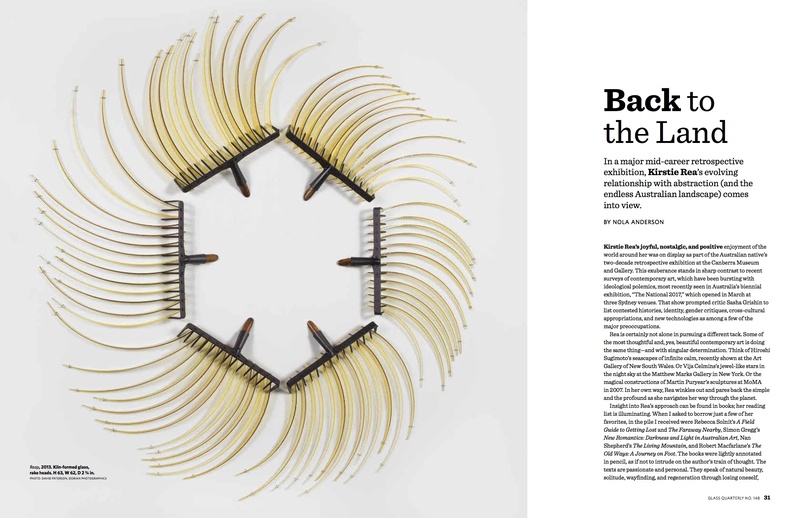 Reviews in this issue include: a group exhibition of Native American beads at the Wheelwright Museum of the American Indian, Santa Fe; Tania Pérez Córdova at the Museum of Contemporary Art, Chicago; Alli Hoag and Tinna Thorsteinsdottir at UrbanGlass; Hannah Kirkpatrick at the Perry Glass Studio at the Chrysler Museum of Art, Norfolk, Virginia; Sidney Hutter at the Sandwich Glass Museum in Sandwich, Massachusetts. 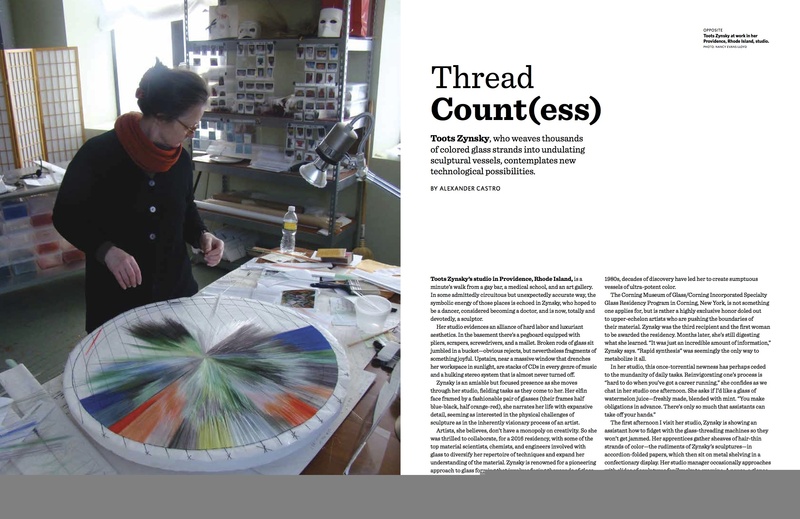 All this plus a back-page essay on the history of Traver Gallery, which is itself celebrating 40 years of operation, and all the latest news from the field of glass. Don't miss a single issue, subscribe today!